We had a TON of fun putting this box together. From tasting potential chocolates (always fun) to prepping the bars/boxes and shipping them out. 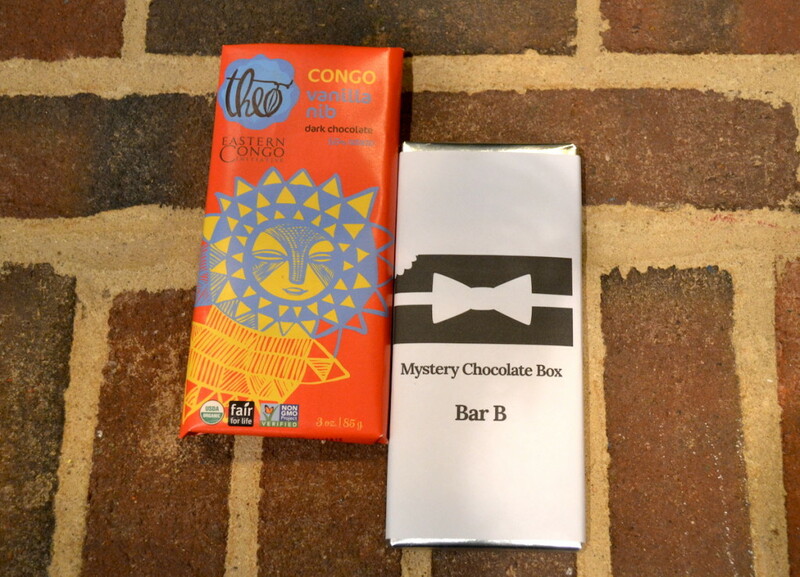 As you should know, this is the very first Mystery Chocolate Box! It’s been a blast bringing one of our favorite family traditions to awesome people like you. So, let’s get to the bars. This one was my personal favorite. I LOVE this bar. This is a complex bar with a couple different flavors packed inside. When you first bite into this bar, you notice the fruity citrus flavor first. As you let the chocolate melt in your mouth, you notice a slight, crunchy spiciness. The chocolate is dark, but has none of the bitterness that you taste in some dark chocolate bars. It has the smooth, almost creaminess of most milk chocolate bars. Some people notice the spiciness more than others. It doesn’t taste strong to me, but others seem to be more sensitive to the spicy kick at the end. So, what was Bar A? Yep, that citrusy taste was lemon! Many people thought it was orange — close, but not quite. The ginger and black pepper, obviously, contributed the spiciness. Overall, this is one of my favorite chocolate bars of all time, and I highly recommend trying it if you haven’t already! No, really. That’s their mission statement, straight from the “About Us” page on their site. These guys are the real deal. In a world where you never know where your food is coming from and how many mermaids had to shed a tear to produce your lunch, you know you can trust everything you buy from Equal Exchange. I don’t know if you noticed it, but the smell when you open up this bar is fantastic, and there’s no way you can open up the wrapper and not take a bite. As you taste this bar, you notice the crunchiness inside — it’s a wonderfully subtle crunch, and it’s hard to place. 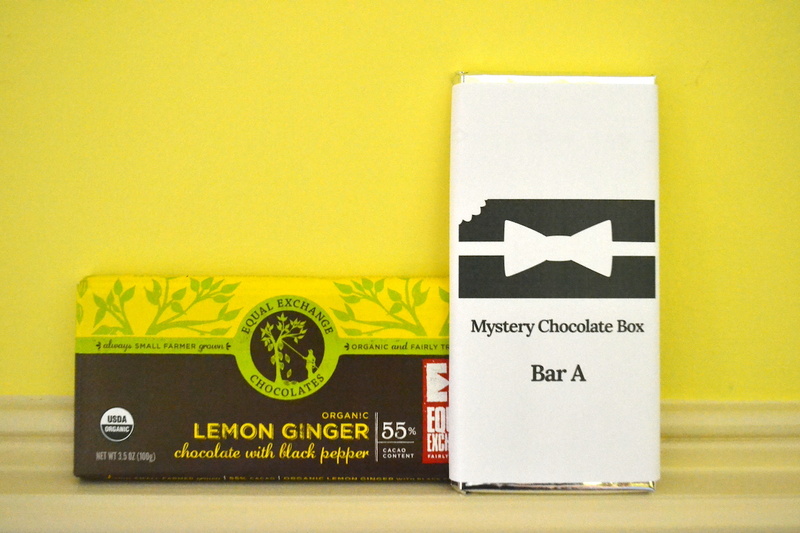 This bar is dark, but it has a sweetness to it, a familiar flavor that you can’t quite put your finger on. Vanilla nibs. So THAT’S what those crunchy things were. Yeah, we didn’t guess that on our first time either. We had great feedback on this bar — many people said this was their favorite one! Based in Seattle, Washington, Theo Chocolate is dedicated to making the world a better place through chocolate. As part of that mission, they’re doing some really cool things like partnering with the Eastern Congo Initiative to help train farmers in the Congo region to grow chocolate. The result? Delicious chocolate bars like the ECI Vanilla Nib by Theo Chocolate. Which, if your short term memory is, um, shaky, is Bar B! That should give you a good idea about Theo Chocolate. In a nutshell (or a cacao bean), these guys are truly benefitting the world while creating amazing chocolate for us to eat. A good cause indeed! The only milk chocolate bar out of the bunch, this was definitely the smoothest and creamiest bar, although once you sink your teeth into this bar you notice the crunchy nuts. This is the kind of bar that you can eat piece after piece of and then, maybe ten minutes later, look down and think, “What happened by my chocolate bar?”. Admit it — how many of you did this? Hand raising slowly with guilt… I knew it! This bar was fairly easy to guess and had the highest number of correct answers. Yep, hazelnuts — a common nut to put into a chocolate bar, and a fairly recognizable flavor. Congrats to everyone to guessed this bar correctly! 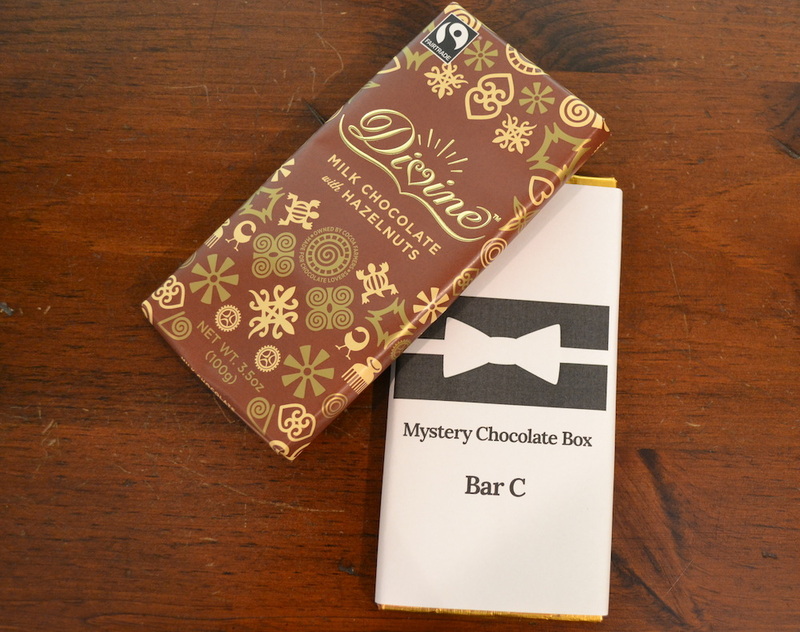 Divine Chocolate is a fair trade chocolate company which is also owned by its cocoa farmers. This means that not only do their farmers get a fair price for their cocoa, they also own shares of the company itself. They’re also doing a cool competition to help kids get to rural schools in Ghana. For every Divine bar sold between May 19, 2014 and June 19, 2014 (3 days left!) at Barnes & Noble College Bookstores, they will donate $1 into a pilot program to supply bamboo bikes to children of cocoa farmers in rural Ghana. So, how did you do on your guesses? 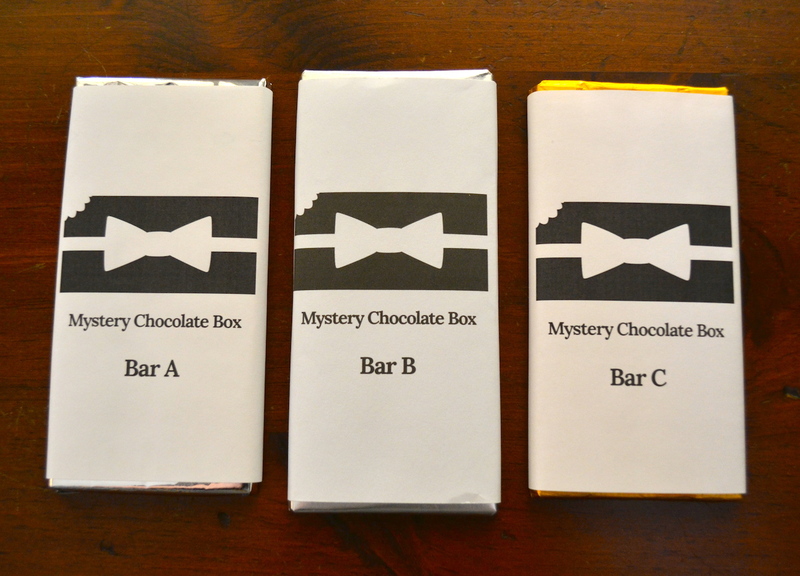 3 Replies to "Mystery Chocolate Box June 2014 - Revealed"
Wow Bar #1 was really a shocker. I hadn’t expected lemon and black pepper at all. Well we did identify the spiciness in Bar A but we didn’t guess black pepper or ginger. In Bar B we thought it was crisp rice. And in Bar C, which I ate all my myself after letting the rest of the family try it, we thought it was cinnamon, but being a hazelnut addict I’m not sure how I missed this one….though it does explain me scarfing the entire bar down myself.